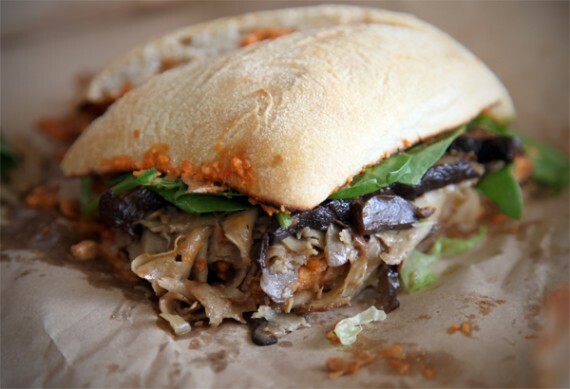 quarrygirl.com » Blog Archive » vegan sandwiches this month at mendocino farms! because it’s rare and doesn’t come around very often, i ordered the vegan shawarma. it’s actually more like a massive grilled wrap than a sandwich, all filled up with spiced chickpeas, bean puree, vegan tzatziki, and vegetables. by default this comes in a honey tortilla, so be sure to specify that you want the vegan one when ordering. i honestly can’t say enough good things about this sandwich. the homemade chickpea shawarma is beyond perfect, and all the vegetables are incredibly fresh and crisp. i ordered the tzatziki on the side (not pictured) and they seriously gave me a bucket of it. so rich and creamy, it didn’t taste vegan at all. seriously folks, get over to mendocino and try this thing before january is over! it only comes around a couple times a year…if that. 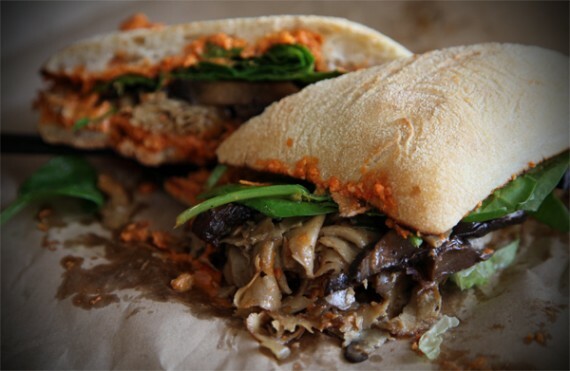 my husband ordered from the winter seasonal menu, and he went with the vegan mushroom confit—an absolute BEAST of a sandwich stacked with mounds of seitan, pickled mushrooms, almond romesco and baby spinach. be warned: this thing is huge and sloppy. it had to be eaten with a fork and still got all over the place. i tried some of the seitan and it was absolutely delicious; thinly sliced and nicely seasoned just like real deli meat. i didn’t eat much of his because i’m pretty sure i could taste bell peppers in the sauce (which i HATE), so if i ordered this for myself i would probably leave off the romesco. we also split a side of the vegan spicy dijon potato salad, which was divine. mendocino farms salads change daily, but they always have a few excellent vegan options…and you can sample as many as you want before buying. i am so grateful that they make their deli salads so vegan-friendly; they could easily just have a “normal” potato salad option, but instead they go out of their way to make it vegan. as i said earlier, the marina del rey location is a lot less busy then the ones downtown. maybe i was just there at a non-peak time, but either way, it was a really nice and relaxing place to have lunch. i freaking LOVE mendocino farms! they make some of the best sandwiches in town and are always looking out for the vegans. 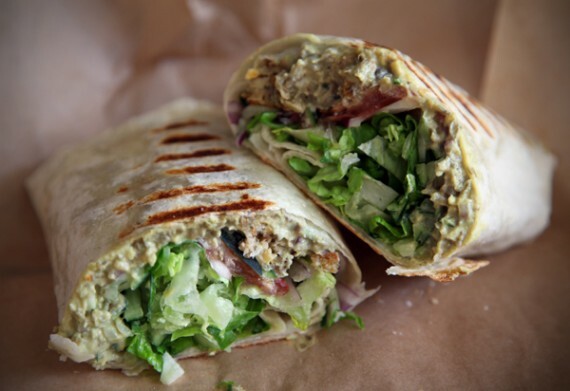 get over there before january ends and try the shawarma. TRUST ME! 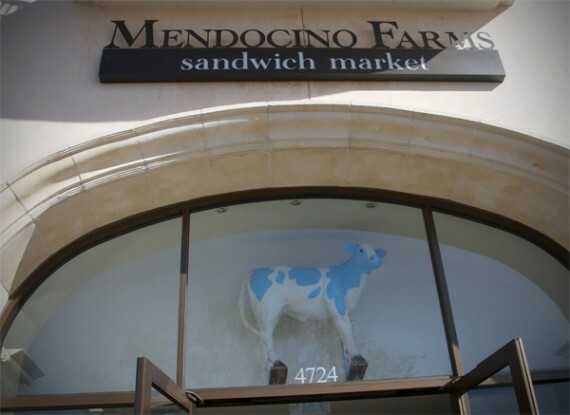 check the mendocino farms website for all 3 locations and hours. The Vegan Mushroom & Potato Salad are very good. 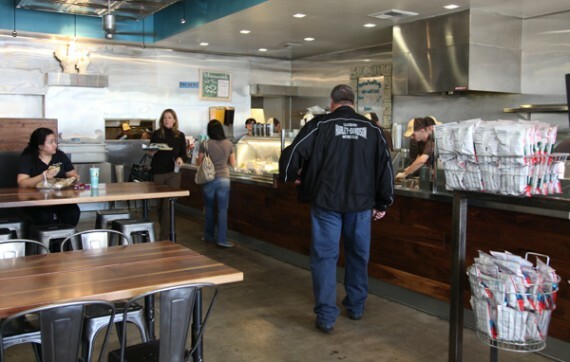 Mendocino farms is very good choose for lunch if you are in downtown area. 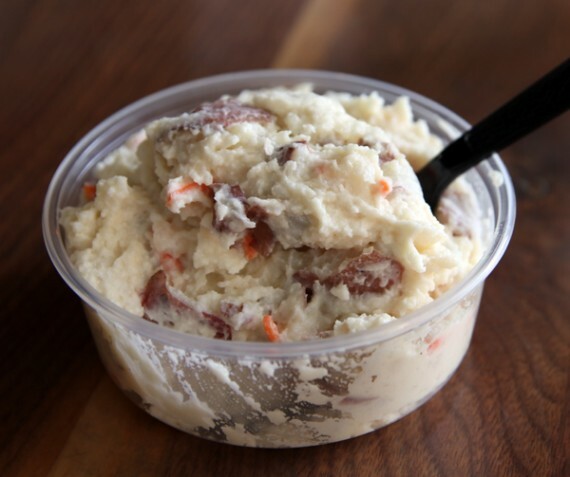 The potato salad does look very good! And I just visited their website and saw another vegan salad listed, so I will keep Mendocino Farms in mind in case I or my partner have to do jury duty downtown. I’ve already done several jury duty stints there, and each time was offended by the dearth of good eateries available for gluten-sensitive vegans/vegetarians. (While I realize that such a scarcity is unsurprising for downtown, it is nonetheless quite sad….) Anyway, glad to hear of this option! i tried that mushroom sandwich and those dijon potatoes at the marina del rey location as well! both were pretty amazing. best sandwiches in la that I’ve had, no doubt! forgot about the one in the marina, thx for reminder. i still prefer to walk up bunker hill for my treat, even though they opened up the new one literally across the street from my office at 5/Flower. i’m old skool.